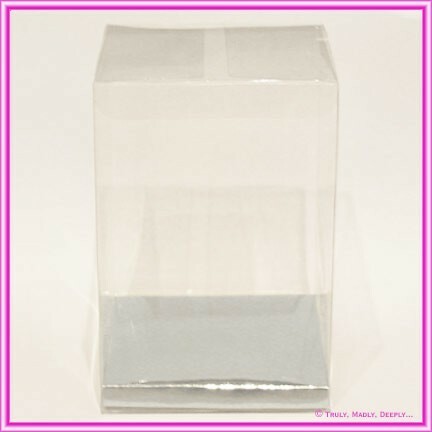 Clear PVC Cube measuring 100x100x150mm. Includes Silver Cardboard base insert. Gold base available by special order. Arrives flatpacked for easy assembly - no glues required. All accessories if shown, including chocolates, almonds and ribbon are sold separately.